Over the last few weeks, Orbis's Flying Eye Hospital was in Cameroon, a country with one of the highest prevalence of blindness and visual impairment in the world. Hosted by the Ministry of Public Health, the aircraft arrived in Yaoundé in early October for hands-on training that supports Orbis’s ongoing work in the country: strengthening the capacity of clinical and operational eye care professionals at our partner hospitals, Yaoundé Central Hospital and Magrabi ICO Cameroon Eye Institute, Yaoundé. Located in Western Central Africa, Cameroon is home to 23.3 million people, of which 326,213 are moderately to severely visually impaired (MSVI) and 181,831 are blind.1 In fact, the prevalence of MSVI in Cameroon (2.98%) is one of the highest in the world, and over twice as high as the prevalence of MSVI in the U.S. (1.25%). Although the leading cause of visual impairment in the country is cataract, for which there are known, cost-effective treatments, many people in Cameroon don’t have access to affordable or quality eye health services. To meet the obstacles faced by local hospitals, the training is being customized to focus on five subspecialties, including cataract, and will include different workshops, covering a range of topics from refraction to equipment repair and maintenance. This skills-transfer work in Cameroon is timely, given the startling global inequalities in visual impairment revealed by the latest data published by the Vision Loss Expert Group (VLEG) in the Lancet Global Health and the International Agency for the Prevention of Blindness (IAPB) in the IAPB Vision Atlas released today. In fact, the prevalence of MSVI in Cameroon (2.98%) is one of the highest in the world, and over twice as high as the prevalence of MSVI in the U.S. (1.25%). Although the leading cause of visual impairment in the country is cataract, for which there are known, cost-effective treatments, many people in Cameroon don’t have access to affordable or quality eye health services. This past August, Orbis Chief of Programs Dr. Danny Haddad commented on what new global evidence means for Orbis's work moving forward. 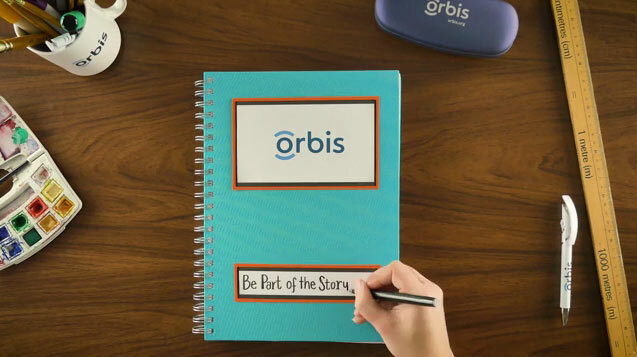 Orbis will continue to deliver quality eye care where people need it most, and advocate to make fighting blindness a priority. Get up to speed on more of the latest findings on global blindness and Orbis's work in Cameroon.